NEW YORK — Boeing must perform more work on a proposed fix to its 737 MAX aircraft before it can be submitted for review, US officials said Monday, suggesting the planes could stay grounded a while longer. The FAA statement is the bureaucratic equivalent of a "stop" sign after Boeing officials touted their proposed remedy last week during a media tour at the company’s manufacturing plant in Seattle, Washington. 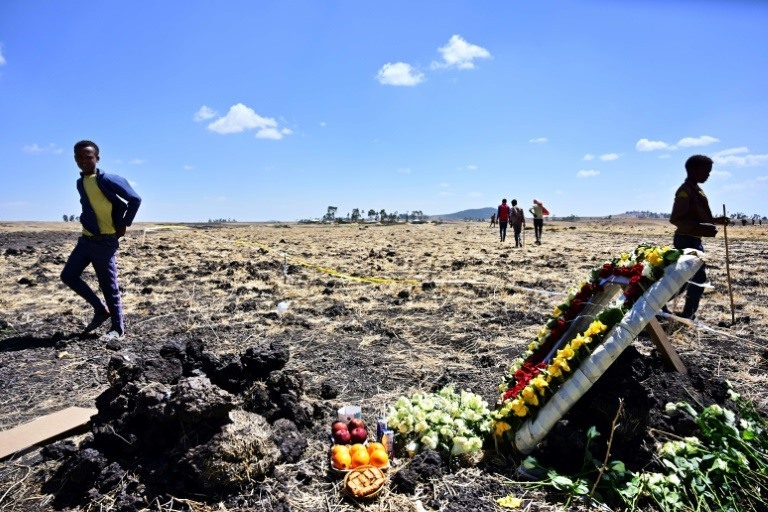 Earlier Monday, Ethiopian foreign ministry spokesman Nebiat Getachew had said his country’s transport ministry would release "a preliminary report into its investigation" of the March 10 accident in which a Nairobi-bound Boeing 737 MAX crashed shortly after taking off from Addis Ababa. Boeing designed the automated MCAS system -- which lowers the aircraft’s nose if it detects a stall or loss of airspeed -- for this particular model.